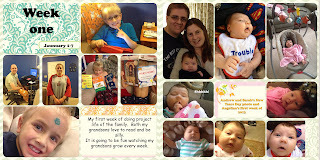 Here is my first digital layout for my Project Life 2013. 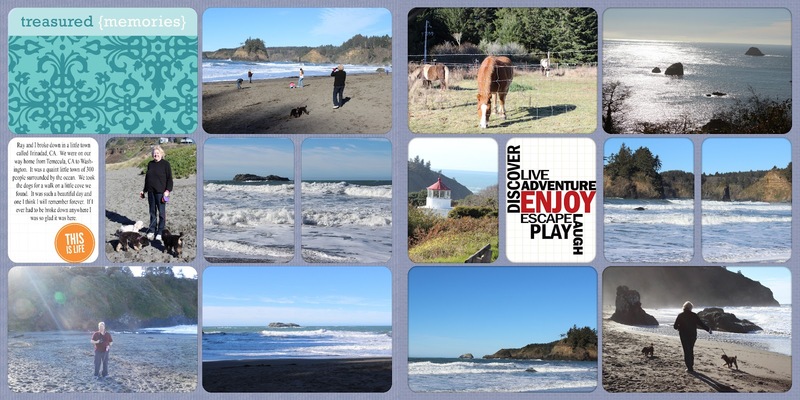 My first double layout was inspired by our day in Trinidad, CA. Our truck broke down on our way home from CA to WA in this quaint little town of only 300. The people there were amazing. Here are a few photos of our last day there before heading back home. Now for the official start of my digital project life, here is Week One, Jan 1-7.